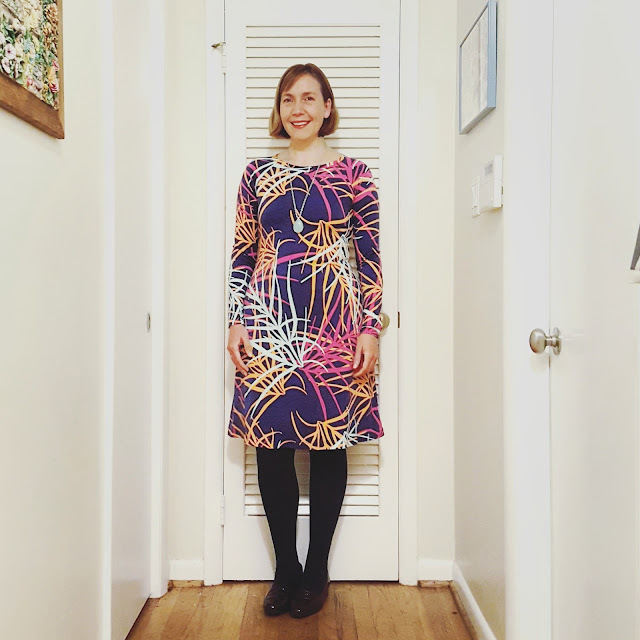 Fabric Mart Fabricistas: Made by a Fabricista: A Dress Sewn Quickly! Made by me on Thursday night in about two hours from start to finish! 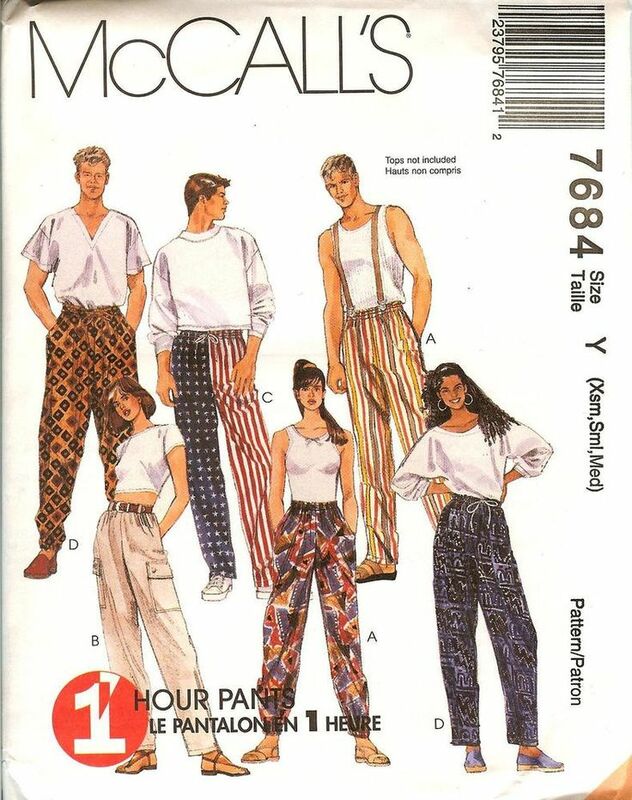 When I first started sewing, I remember being pulled in by patterns that promised a "one hour" make. Often these were patterns from the 60s, 70s, and 80s, and seemed to be geared towards a woman who had such a full, active life that she needed a pattern that could be done in an hour. Now that I have sewn for a few years, I know that this "one hour" is only the sewing time and does not include pressing, cutting, and washing of fabric, so I just laugh at the notion of a one hour make. A one hour sew, yes, it's possible, but a one hour make? Hmm. I still deeply desire a one hour make, but barring a miracle, I'm not sure that's a possibility. I have had success in making a sweatshirt in a couple of hours, and this dress from McCall's (the most beloved 6886), made from either pre-washed fabric or a non-shrinking fabric, has proven to be a quick make as well. Last year, I wanted to branch out from McCalls 6886 (though I still use it), and was looking for a pattern that could be done quickly, but give a different look. I wanted an a-line, with a bit of length, and with options for sleeves. I also wanted to get away from the set-in sleeve (why McCall's made 6886 a set-in sleeve for a knit still baffles me). 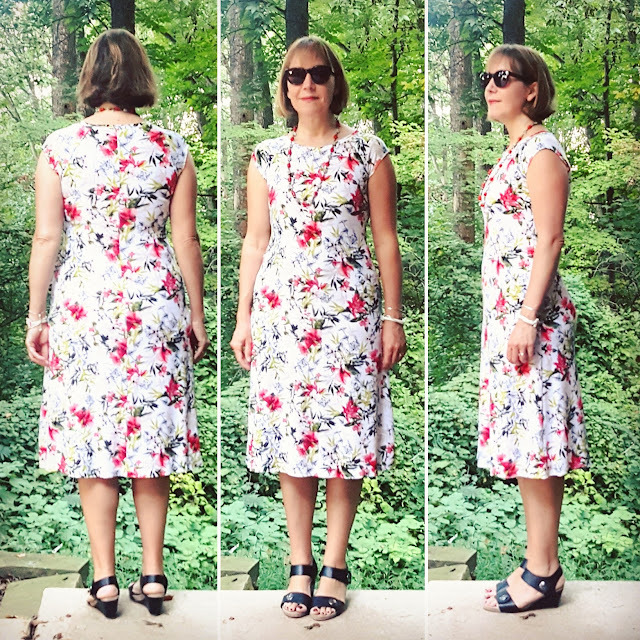 I found McCall's 7122, a dress that can be truly made, with the right fabric, in just under a couple of hours. The features I like that make it such a quick make include a front cut on the fold, a back that could be cut on the fold (though I prefer to cut it out with the back seam since I often get pooling in the back waist and a seam is awesome for fitting purposes), a neckband that actually fits the neck properly and hasn't yet needed an adjustment from me (wahoo! ), and raglan sleeves (no setting in, yes!). Pressing is vital, but again, these seams are easy to press, and even in scuba, they aren't that challenging to get to press down. ITY knit, though, especially some of the thinner ITYs, can be a dream to press. A couple of seconds and some steam, and they have submitted to the process of laying down flat. So the two dresses I have shown here are both made from ITY knits found at Fabric Mart. The top one, meant for winter/fall dressing (but in a tropical print by Tori Richard, since I can't resist a good tropical print), is actually still available online, and is a nice drapey fabric with a little bit of heft. 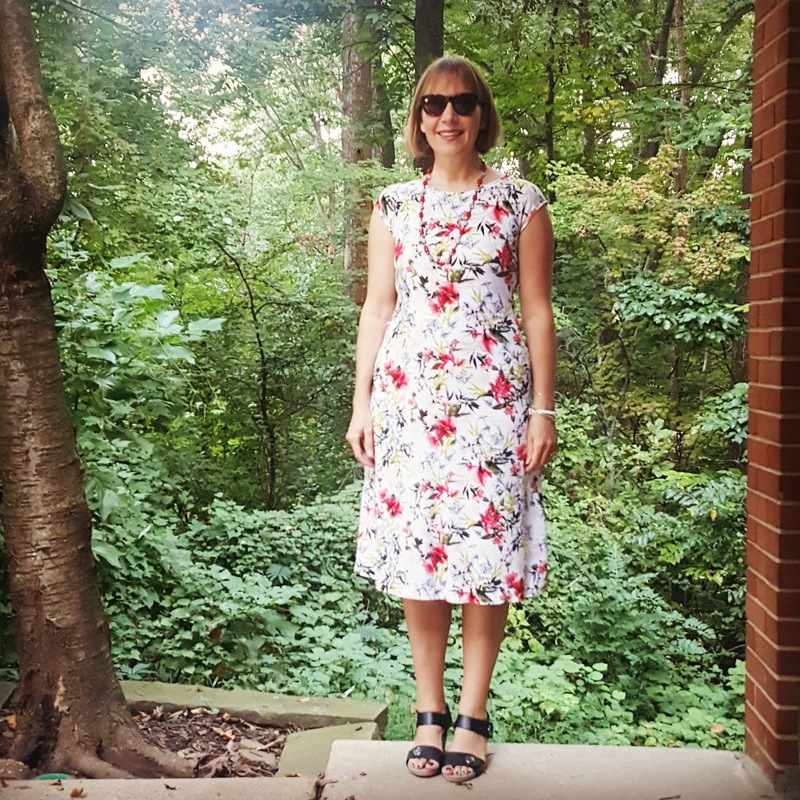 The other fabric is a Julie's Pick from last March (a pretty floral from Maggy London), and like the Tori Richard, is a lovely weight, but a touch lighter, which makes it perfect for the hot and humid summer months here in Virginia. I made a small at the shoulders and waist and graded out to a medium. I kept the length long on my original scuba knit one and the Julie's Pick ITY knit one, but shortened it by three inches on the Tori Richard ITY knit one. I figured it would be better to have a shorter hemline with longer sleeves. Have any of you made this dress up? Do you find it as easy as I do to sew? FINALLY! A dress pattern that flatters, is appropriate for many ages, and simple to do......I'm off to find McCall's 7122! THANK YOU for this great post! They look wonderful! Thanks for the inspiring post. Love both of the dresses. Especially the long sleeve one because I love that fabric too. It would be nice if we could get someone to cut out the pattern and just be able to stitch it up. Cute dresses Dina, and I love a quick project! Your comment about the quick patterns for a woman with a full, active life made me smile and giggle. I have made this dress as well and love the simplicity of it! Thanks for inspiring! For some reason I had it in my head that it was useless to press those types of knits, but after reading this I will try. Maybe you just helped me up my sewing! My go to pattern this summer. Made 3 times. Willbtrybinba ponte with long sleeves after seeing yours.